“Behold, the Lion of the tribe of Juda, the Root of David, has prevailed to open the book, and to loose the seven seals thereof” (Rev 5:5). “He that has an ear, let him hear what the Spirit says to the churches” (Rev 2:7). “And I saw another angel fly in the middle of heaven, having the everlasting gospel to preach to them that dwell on the earth, and to every nation, and kindred, and tongue, and people” (Rev 14:6). The entire Bible records the work of two ages: One was the work of the Age of Law, and one was the work of the Age of Grace. The Old Testament records Jehovah’s words to the Israelites and His work in Israel; the New Testament records Jesus’ work in Judea. You must know how many parts the Bible includes; the Old Testament contains Genesis, Exodus…, and there are also the books of prophecy that the prophets wrote. At the end, the Old Testament finishes with the Book of Malachi. It records the work of the Age of Law, which was led by Jehovah; from Genesis to the Book of Malachi, it is a comprehensive record of all the work of the Age of Law. Which is to say, the Old Testament records all that was experienced by the people who were guided by Jehovah in the Age of Law. … the Bible’s Old Testament primarily records Jehovah’s work of guiding Israel, His use of Moses to guide the Israelites out of Egypt, who rid them of the Pharaoh’s shackles, and took them out into the wild, after which they entered Canaan and everything following this was their life in Canaan. All apart from this is records of Jehovah’s work throughout Israel. Everything recorded in the Old Testament is Jehovah’s work in Israel, it is the work Jehovah did in the land in which He made Adam and Eve. From when God officially began to lead the people on earth after Noah, all that is recorded in the Old Testament is the work of Israel. And why is there not recorded any work beyond Israel? Because the land of Israel is the cradle of mankind. In the beginning, there were no other countries apart from Israel, and Jehovah did not work in any other places. In this way, what is recorded in the Bible is purely the work in Israel at that time. The words spoken by the prophets, by Isaiah, Daniel, Jeremiah, and Ezekiel … their words foretell His other work on earth, they foretell the work of Jehovah God Himself. 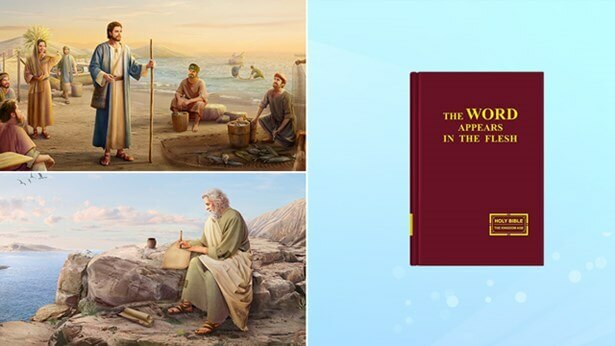 All this came from God, it was the work of the Holy Spirit, and apart from these books of the prophets, everything else is a record of people’s experiences of Jehovah’s work at the time. … The things recorded in the Old Testament are Jehovah’s work in Israel, and that which is recorded in the New Testament is the work of Jesus during the Age of Grace; they document the work done by God in two different ages. The Old Testament documents the work of God during the Age of Law, and thus the Old Testament is a historical book, while the New Testament is the product of the work of the Age of Grace. When the new work began, it also became out of date—and thus, the New Testament is also a historical book. Of course, the New Testament is not as systematic as the Old Testament, nor does it record as many things. 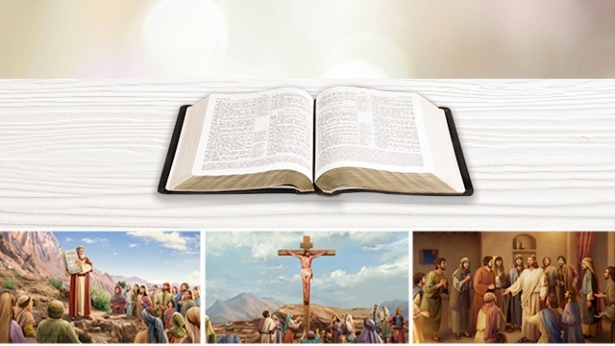 All of the many words spoken by Jehovah of the Old Testament are recorded in the Bible, whereas only some of the words of Jesus are recorded in the Four Gospels. Of course, Jesus also did a lot of work, but it wasn’t recorded in detail. That less is recorded in the New Testament is because of how much work Jesus did; the amount of His work during three-and-a-half years on earth and that of the apostles was far less than the work of Jehovah. And thus, there are less books in the New Testament than the Old Testament. What kind of book is the Bible? The Old Testament is the work of God during the Age of Law. The Old Testament of the Bible records all the work of Jehovah during the Age of Law and His work of creation. All of it records the work done by Jehovah, and it ultimately ends the accounts of Jehovah’s work with the Book of Malachi. The Old Testament records two pieces of work done by God: One is the work of the creation, and one is decreeing of the law. Both were the work done by Jehovah. The Age of Law represents the work under the name of Jehovah God; it is the entirety of the work carried out primarily under the name of Jehovah. Thus, the Old Testament records the work of Jehovah, and the New Testament records the work of Jesus, work which was carried out primarily under the name of Jesus. The significance of Jesus’ name and the work He did are mostly recorded in the New Testament. During the Old Testament Age of Law, Jehovah built the temple and the altar in Israel, He guided the life of the Israelites on earth, proving that they were His chosen people, the first group of people that He selected on earth and who were after His own heart, the first group that He had personally led; which is to say, the twelve tribes of Israel were Jehovah’s first chosen ones, and so He always worked in them, right up until the work of Jehovah of the Age of Law was concluded. The second stage of work was the work of the Age of Grace of the New Testament, and it was carried out among the tribe of Judah, one of the twelve tribes of Israel. That the scope of the work was smaller was because Jesus was God become flesh. Jesus worked only throughout the land of Judea, and only did three-and-a-half years of work; thus, what is recorded in the New Testament is far from able to surpass the amount of work recorded in the Old Testament. The work of Jesus of the Age of Grace is primarily recorded in the Four Gospels. The path walked by the people of the Age of Grace was that of the most superficial changes in their life disposition, most of which is recorded in the epistles. The Bible is also called the Old and New Testament. Do you know what “testament” refers to? The “testament” in the Old Testament comes from Jehovah’s covenant with the people of Israel when He killed the Egyptians and saved the Israelites from the Pharaoh. Of course, the proof of this covenant was the lamb’s blood daubed on lintels, through which God established a covenant with man, one in which it was said that all those who had lamb’s blood on the top and sides of the doorframe were Israelites, they were God’s chosen people, and they would all be spared by Jehovah (for Jehovah was then about to kill all the firstborn sons of Egypt and firstborn sheep and cattle). This covenant has two levels of meaning. None of the people or livestock of Egypt would be delivered by Jehovah; He would kill all of their firstborn sons and firstborn sheep and cattle. Thus, in many books of prophecy it was foretold that the Egyptians would be severely chastised as a result of the covenant of Jehovah. This is the covenant’s first level of meaning. Jehovah killed the firstborn sons of Egypt and all its firstborn livestock, and He spared all the Israelites, which meant that all those who were of the land of Israel were cherished by Jehovah, and would all be spared; He wished to do long-term work in them, and established the covenant with them using lamb’s blood. From then onward, Jehovah would not kill the Israelites, and said that they would forever be His chosen ones. Among the twelve tribes of Israel, He would embark upon His work for the entire Age of Law, He would open up all His laws to the Israelites, and choose among them prophets and judges, and they would be at the center of His work. Jehovah made a covenant with them: Unless the age changed, He would work only among the chosen ones. Jehovah’s covenant was immutable, for it was made in blood, and was established with His chosen people. More important, He had chosen an appropriate scope and target through which to embark upon His work for the whole age, and so people saw the covenant as especially important. This is the covenant’s second level of meaning. With the exception of Genesis, which was before the establishment of the covenant, all the other books in the Old Testament record God’s work among the Israelites after the establishment of the covenant. Of course, there are occasional accounts of the Gentiles, but overall, the Old Testament documents God’s work in Israel. Because of Jehovah’s covenant with the Israelites, the books written during the Age of Law are called the “Old Testament.” They are named after Jehovah’s covenant with the Israelites. The New Testament is named after the blood shed by Jesus on the cross and His covenant with all those who believed in Him. Jesus’ covenant was this: People had but to believe in Him for their sins to be forgiven by His bloodshed, and thus they would be saved, and reborn through Him, and would no longer be sinners; people had but to believe in Him to receive His grace, and would not suffer in hell after they died. All of the books written during the Age of Grace came after this covenant, and they all document the work and utterances contained in it. They go no further than the salvation of the Lord Jesus’ crucifixion or the covenant; they are all books written by the brothers in the Lord who had experiences. Thus, these books are also named after a covenant: They are called the New Testament. These two testaments include only the Age of Grace and the Age of Law, and have no connection with the final age. No one knows the reality of the Bible: that it is nothing more than a historical record of God’s work, and a testament to the previous two stages of God’s work, and offers you no understanding of the aims of God’s work. Everyone who has read the Bible knows that it documents the two stages of God’s work during the Age of Law and the Age of Grace. The Old Testament chronicles the history of Israel and Jehovah’s work from the time of creation until the end of the Age of Law. The New Testament records Jesus’ work on earth, which is in the Four Gospels, as well as the work of Paul; are they not historical records? … By reading the Bible, at most you’ll understand a little of the history of Israel, you’ll learn about the lives of Abraham, David, and Moses, you’ll find out about how they revered Jehovah, how Jehovah burned those who opposed Him, and how He spoke to the people of that age. You’ll only find out about God’s work in the past. The records of the Bible relate to how the early people of Israel revered God and lived under the guidance of Jehovah. Because the Israelites were God’s chosen people, in the Old Testament you can see all the people of Israel’s loyalty to Jehovah, how all those who obeyed Jehovah were cared for and blessed by Him, you can learn that when God worked in Israel He was full of mercy and love, as well as possessed of consuming flames, and that all the Israelites, from the lowly to the mighty, revered Jehovah, and so the whole country was blessed by God. Such is the history of Israel recorded in the Old Testament. If you wish to see the work of the Age of Law, and to see how the Israelites followed the way of Jehovah, then you must read the Old Testament; if you wish to understand the work of the Age of Grace, then you must read the New Testament. But how do you see the work of the last days? You must accept the leadership of the God of today, and enter into the work of today, for this is the new work, and no one has previously recorded it in the Bible. Today, God has become flesh and selected other chosen ones in China. God works in these people, He continues on from His work on earth, continues on from the work of the Age of Grace. The work of today is a path that man has never walked, and a way that no one has ever seen. It is work that has never been done before—it is God’s latest work on earth. Thus, work that has never been done before is not history, because now is now, and has yet to become the past. People don’t know that God has done greater, newer work on earth, and outside of Israel, that it has already gone beyond the scope of Israel, and beyond the foretellings of the prophets, that it is new and marvelous work outside of the prophecies, and newer work beyond Israel, and work that people can neither perceive nor imagine. How could the Bible contain explicit records of such work? Who could have recorded every single bit of today’s work, without omission, in advance? Who could record this mightier, wiser work that defies convention in the moldy old book? The work of today is not history, and as such, if you wish to walk the new path of today, then you must depart from the Bible, you must go beyond the books of prophecy or history in the Bible. Only then will you be able to walk the new path properly, and only then will you be able to enter into the new realm and the new work. Previous：How does God rule over and administer the entire universe world? Next：The religious world believes that all scripture was inspired by God and that it is all the words of God; how should one have discernment toward this statement?